Home surveillance systems are incredibly expensive, but if you’re looking for more of a DIY approach, Instructables user Scavix shows off how to build your own small-scale system for about $120 using a Raspberry Pi. Scavix’s system uses a Raspberry Pi, the Raspberry Pi camera module, some housing for that camera, and a few other smaller pieces. After some set up, the end result is a home security system that can detect motion, broadcast a live stream, and more. It’s a surprisingly powerful system all things considered and it’s cheap enough that you can set up a few of them if you like. Sticking a GPS module in a project has been a common occurrence for a while now, whether it be for a reverse geocache or for a drone telemetry system. These GPS modules are expensive, though, and they only listen in on GPS satellites – not the Russian GLONASS satellites or the Chinese Beidou satellites. NavSpark has the capability to listen to all these positioning systems, all while being an Arduino-compatible board that costs about $20. Inside the NavSpark is a 32-bit microcontroller core (no, not ARM. LEON) with 1 MB of Flash 212kB of RAM, and a whole lot of horsepower. Tacked onto this core is a GPS unit that’s capable of listening in on GPS, GPS and GLONASS, or GPS and Beidou signals. On paper, it’s an extremely impressive board for any application that needs any sort of global positioning and a powerful microcontroller. There’s also the option of using two of these boards and active antennas to capture carrier phase information, bringing the accuracy of this setup down to a few centimeters. Very cool, indeed. 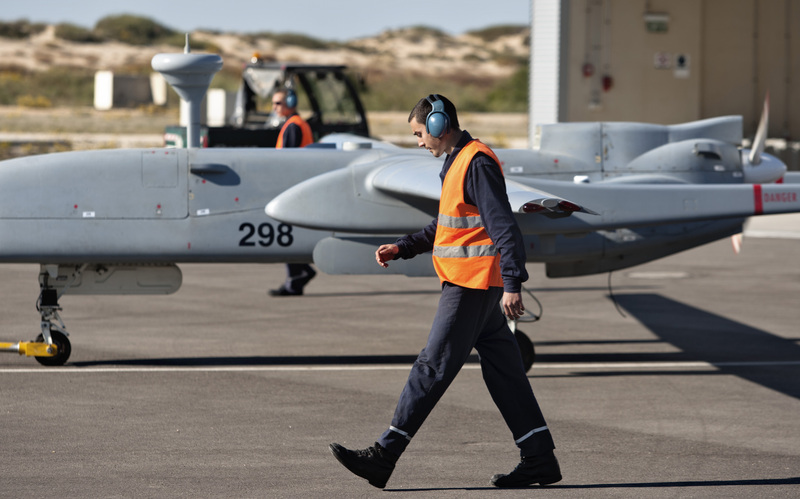 Israeli Drone Pilots Made Their Life-and-Death Choices Over Gaza, and how? The latest round of fighting between Israel and Hamas has settled into an uneasy ceasefire. But that won’t stop Israel’s drones from filling the skies over Gaza. In this 2009 story, written during the final days of the last Israel-Hamas conflict, we took a look at how one drone pilot grappled with the moral choices that came with remotely spying, and ordering death, from above. Life or Death choices will never been easier with judgement done through small screen. how these guys, manage doing these task properly or most importantly humanly. Guess, wired have this story covered here. Come on, take a look. Wow, that sounds weird. It’s actually a mini GSM-based localizer without any GPS devices attached. It’s an old device with the cheaper SimCom module SIM900. Here is a complete working GSM localizator which is pretty cheap and small too. As introduction, this system allows localization without directly using GPS technology; we are able to locate the desired object fairly precisely by using database availability together with the geographic position of the cells themselves. In some country the cell coordinates are not publicly known (i.e. in Italy). If so, where do we find such data? Through Google Maps… Google has been able to store billions of data regarding the location of its clients’ cell phones. But how does GSM localization work? The radio mobile network is made up of a number of adjacent radio cells, each of which is characterized by an identifier consisting of four data: a progressive number (Cell ID), a code related to the area in which that given cell is (LAC, or Local Area Code), the code of national network to which the cell belongs (MCC, an acronym for Mobile Country Code), and finally the company code (MNC, or Mobile Network Code), which obviously identifies the phone company itself. For this reason, once a cell name and coordinates are known, and considering the maximum distance allowed between this cell and a phone before the phone connects to a new cell, it is possible to find out, approximately, the most distant position of the phone itself. For example, if the maximum distance has been determined to be one mile, the cell phone can be within a one-mile radius. It can be deduced that the more cells are found in a given area, the more precisely one can determine where the phone is located (up to 200-350 feet). The idea of employing only a GSM device to build a remote localization system occurred to us when we realized that Google Maps Mobile, which had been conceived to allow smartphones equipped with a GPS receiver to use Google for satellite navigation, was extended to all cell phones, as long as they were able to support GPRS or UMTS data. Naturally, this method allows but for a rough estimate: determining the precise position of the cell phone hinges on data regarding the coverage of a given cell which can only be provided by the Google server. Compared to traditional localizers based on GPS, this device presents many advantages, primarily because it is lighter and less bulky, has a cost lesser and greater autonomy to exercise. This means that about one battery lithium ion, such as 1 Ah, our tracker can be in operation for several days (it all depends on the number of SMS that have to do). A locator based on cellular network may answare more immediately: the GPS receiver may take several minutes to determine its position. Our tracker works battery and thus can be brought on by people who may have the need to ask help or be tracked, but also placed on board motor vehicles (without installation) or simply introduced in goods in transit. To avoid unnecessarily draining the battery, the localizator provides its position via SMS, on requesto with a simple phone call. Among the functions implemented there is the SOS: By pressing the button the localizator sends a text message asking for help, containing the coordinates of position, the sending can be done to a maximum of eight thelephone numbers. When queried or with the autoreport function, sends an SMS with the localization.To know the location of remote device must send an SMS request cell is connected and sends a request (via GPRS) to Google’s site, the latter responds with the coordinates and the figure for the precision. Everything happens in seconds. Well, you can get hell of these stuff from link provided afterward. Design files and the firmware are included. A fun stuff to experiment with at your disposal. Mini GSM localizer without GPS at open-electronics.org. How Earthquake and Tsunami Warning Systems? — Earthquake and tsunami warning systems both monitor the same thing: seismic waves. Seismic data takes the Earth’s pulse directly, so when the earth shakes, we get immediate feedback. If all goes well, we have enough time to run. Lots of organizations watch for earth movement. The U.S.’s Advanced National Seismic System (ANSS), for instance, runs 95 stations across North America. When there’s an earthquake, ANSS sends out a signal in real time, which alerts government agencies and emergency response personnel. Earthquakes on land are serious business, to be sure, but responding to them is fairly straightforward: Direct the appropriate resources to the place where the alarm bell rang the loudest. But when earthquakes cause tsunamis, an international effort is usually required. Think about it: An earthquake under the sea doesn’t just cause a killer wave directly above it. Landmasses shift, water is displaced, and, depending on several other factors, it could end up anywhere. Seismic waves travel 100 times faster than ocean waves, so you have to take the Earth’s movement into account to figure out when the wall of water will hit land. To understand just how important it is to use seismic data to get people safe, you only need to look back to the magnitude-9.0 Indonesian quake of 2004. The Indian Ocean had no early warning system in place, and the tsunami triggered by the earthquake killed 200,000 people in eleven countries—including 30,000 people in Sri Lanka, 1000 miles away from the epicenter. Information just didn’t get to the people who needed it fast enough. But today, when the 8.9 hit, the Japan Meteorological Agency issued a major tsunami warning within three minutes of the event. Six minutes after that, Islands in the South pacific, Hawaii and Russia were told to watch their shores. The collaborating systems are a part of the Intergovernmental Oceanographic Commission run by UNESCO, which organizes international disaster response. Japan is hyperaware of its shaky ground. The country withstands some thousand tremors a year, and they’ve got 180 seismographs and 600 seismic intensity meters constantly tuned to what’s going on in the underworld. They also have around 30 sea level gauges operated by the coast guard and around 80 operated by the JMA that work in chorus to provide feedback to a Data Processing and Communication system. The sensors take a reading, upload it to a central processing system using old fashioned wires and/or satellite uplink, and that central system sends updates to the government, police, coast guard, telephone companies, and the media. Sea level gauges also report disturbances in real time and help organizations model trajectory and size of the oncoming waves. And then there are more specialized tools. The NOAA, for instance, has a handful of tsunami detection buoys that help rule out false alarms and give monitoring agencies a better idea of what they’re in for-or what their not. NOAA’s Deep Ocean Assessment and Reporting of Tsunami system—which goes by the slick moniker ‘DART’—is made up of an anchored sea floor bottom pressure recorder and accompanying fiberglass and foam buoy on the surface. The recorder on the ocean floor, which takes a note of temperature and pressure every 15 seconds, sends data via an acoustic link to the surface buoy. The buoy then sends information by satellite to Tsunami warning centers. How does the information get to you? Warning systems coordinate with the media. That’s how you got the information on your front page. To get even faster info, in many places you can sign up for text alerts if something disastrous is happening-or will happen, in the case of a tsunami-in your area. Complete end-to-end IP video technology is behind an integrated public safety system on Penang Island, the most populated of Malaysia’s islands. Its capital, Georgetown, attracts many tourists and, as with other city centers around the world, it faces a complex security environment, including criminal activity and traffic issues. The surveillance project consists of 31 PTZ dome cameras connected via a wireless IP network monitoring the whole of the Georgetown area. 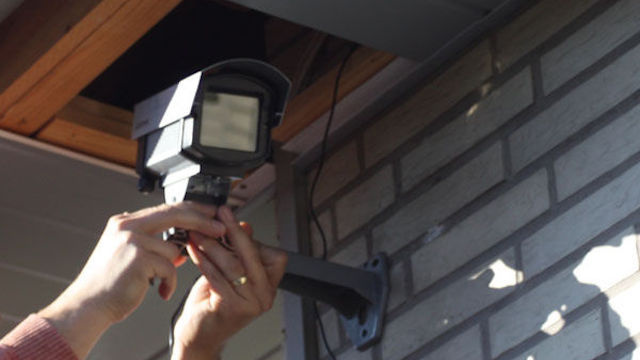 The cameras are focused on crime and traffic hot spots such as tourist areas, banks, petrol stations, traffic intersections and commercial centers. The integration features of the IP video solution allowed a number of emergency kiosks to be installed in tourist areas. Using a transmitter/receiver module, which can transmit high-quality video and audio as well as digital input/output, a standalone video intercom solution for the kiosks was developed. When a member of the public activates the emergency button, two-way communication is opened up with one of the control room operators via a hidden microphone and camera in the kiosk. The intercom video from the kiosk automatically displays on a video management workstation and the nearest PTZ is panned and zoomed to the kiosk area. This is all achieved over the wireless network. The only cabling required is power to each of the kiosks. The PTZ domes are also connected to transmitter modules and the audio capability is used to provide public announcement facilities through speakers mounted with each camera. The “Hello Arduino” section in Chapter 11 of Getting Started with Processing shows how to read data into Processing from Arduino. In a nutshell, the Arduino code (example 11-6 in the book) reads data from a light sensor and writes it out to the serial port. The section then goes on to describe a number of increasingly sophisticated sketches that retrieve and visualize the sensor data using Processing’s Serial library. This Codebox shows you how to save this sensor data to a Google Spreadsheet. The cool thing is that you can then use any of the goodies that Google provides (charts, gadgets, maps, etc) directly with your data. While the light sensor is pretty basic, you can use this basic setup to record data from more sophisticated sensors, such as a Parallax GPS receiver module into Google Spreadsheets, and then create a map of where you’ve been that you could post as a gadget. The sketch relies on the Google API Client Library for Java, which is a set of code libraries for interacting with various Google’s services (not just Spreadsheets). In researching this article, I found Processing guru Jer Thorpe‘s article Open Science, H1N1, Processing, and the Google Spreadsheet API a great inspiration. While it’s based on an older version of the API (version 1.0, while the APIs are now up to version 3.0), it’s a great introduction to interacting with Google. Flash / Arduino Based Speed Detector from Mike Chambers on Vimeo. Mike Chambers built this excellent looking arduino-based speed detector. An Arduino measures the time it takes an object to travel between two points, which is then relayed back to a computer (or smart phone), where it is converted into average speed and presented in a clear manner. The concept for the project is simple, however he wins big points for putting it all together into a working package. These Tiny Magnetometers Detect Fields Generated by Human Heart! How can i imagine this tiny and ‘poor’ little thing can help a human life? hmm… I’m still thinking. At the National Institute of Standards and Technology (NIST) scientists have been working on microfabricated atomic magnetometers capable of detecting faint magnetic fields. The devices, about 1cm3 in size, were taken to the Physikalisch Technische Bundesanstalt (PTB) in Berlin, Germany where supposedly resides the most magnetically isolated building in the world. Using the tiny magnetometers, investigators were able to detect the magnetic signature of human heartbeats, perhaps opening up the possibility for a new modality to complement ECG.